VistaJet, the world’s luxury aviation company, has placed a firm order for 56 new Bombardier* Global* aircraft, with 86 further options. With a list price value of more than $7.8-billion, this is the single largest transaction placed with any aircraft manufacturer in the history of business aviation. Deliveries of this order will commence in 2014. “Our historic order is great news for South Africa as we will soon see dedicated aircraft flying South Africans to all corners of the globe. We will be the first and only provider in Africa to offer brand new aircraft for our customers. We believe such booming markets deserve brand new state-of-the-art aircraft rather than aging the pre-owned aircraft they have been accustomed to receiving. “This order is also the most significant milestone for VistaJet and is testimony to our successful strategy that focuses on global coverage. Earlier in 2012, we announced landmark agreements with partners in both China and Russia and, since then, the level of demand we have seen in growth markets around the globe has been unprecedented. “Our customers need to fly point-to-point across the globe, and in many instances at short notice. Whether it’s a direct flight from Los Angeles to Shanghai, from London to Luanda or from Kinshasa to Ulan Bator, we are seamlessly connecting our customers to every corner of the world in unrivalled levels of style and safety. The new Global aircraft order – comprising of 25 Global 5000*, 25 Global 6000*, and 6 Global 8000* aircraft, with options for a further 40 Global 5000, 40 Global 6000 and 6 Global 8000 jets – is a continuation of the company’s strategic decision to fast-track the growth of the fleet, focusing on wide-cabin, long-range aircraft to provide non-stop point-to-point global coverage. The new aircraft will directly service growth markets (including Russia, China, all of the Middle East and all of Africa), connecting them to the rest of the globe, as well as serving the East and West coast United States for their intercontinental travel needs. Its global strategy has made VistaJet the clear market leader with unparalleled experience flying in to, and out of, the hardest-to-reach destinations around the world. 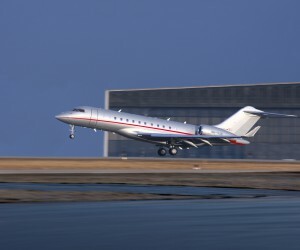 Furthermore, VistaJet is the first commercial operator of the Global 6000 jet to lead the way in long-haul flights connecting the growth markets. VistaJet continues to “Think Global” and brings the most advanced and accomplished long-range premium aircraft family to their customers across the globe. “By any standard, this is a historic order for Bombardier. It goes without saying that we are thrilled VistaJet has again chosen to grow their fleet with the industry-leading Bombardier Global family. In the air, VistaJet has been growing what is already one of the largest business aviation flight crew rosters worldwide to ensure that it has flight crew availability 24/7 anywhere in the world. 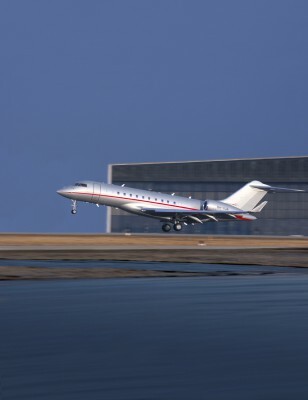 VistaJet’s pilots are rated among the most proficient in the world and have extensive experience in flying the longer-haul sectors to remote destinations that comprise the majority of the flights flown in 2012. On the ground, VistaJet has doubled its dedicated sales force across these emerging markets, to establish further presence and support for existing and new customers. These additions to the world-class sales team will be introduced during the course of Q1 2013.